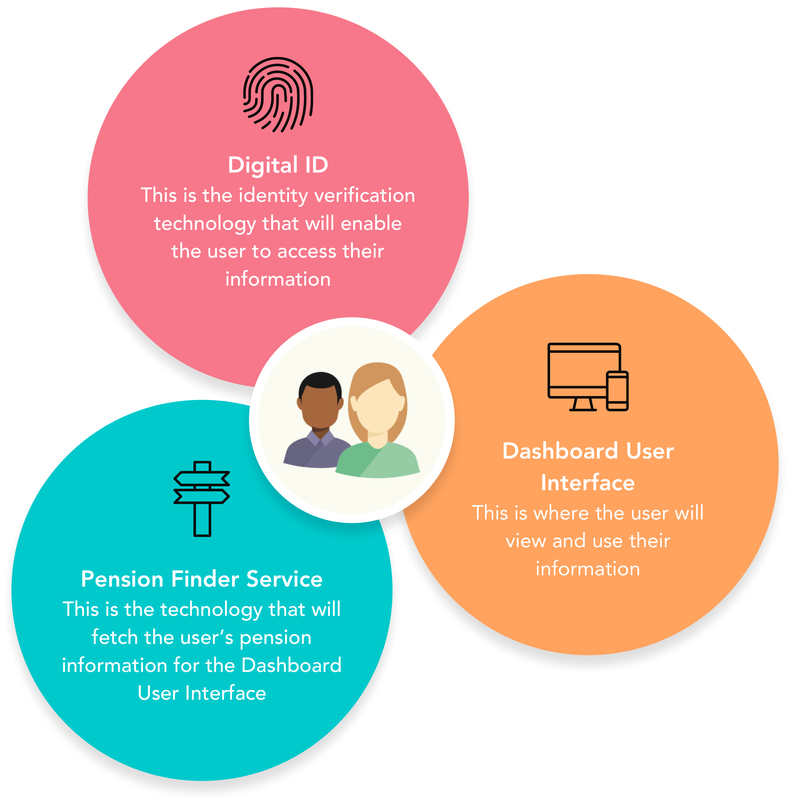 The Money Advice Service (MAS) and Association of British Insurers (ABI) on behalf of the Open Identity Exchange (OIX)* have today published a report on the latest phase of the Pension Finder Dashboard project. This is a key milestone in achieving the Government’s vision for pensions dashboards by 2019. The Pension Finder Dashboard alpha project working group, a collaboration of 14 organisations**, recommended that the dashboard could initially be available in one location, however approved finance industry websites and apps should also be able to host it to maximise consumer engagement in the future. This dashboard will bring together information about a person’s pension savings in to one single place. This will enable people to take control of their retirement savings and transform engagement with their pensions. This recommendation was based on consumer research carried out to validate the idea of a Pensions Dashboard, and test the consumer concepts such as: consent to find all pensions, share data, and forecasting future income. Respondents were positive about the proposal and thought it might make them more proactive in managing their pensions, seeking financial advice and increasing pension contributions_*_. The next phase of the alpha project involves developing a prototype dashboard and continuing to work on architecture and governance. Caroline Rookes, Chief Executive of the Money Advice Service, said: “Pension provision has changed significantly over recent years and it is more important than ever that individuals make good decisions so their money lasts for the full length of their retirement. We know that online banking has empowered people to engage with their money more regularly. We hope that being able to keep track of their pension savings in a single digital place will ensure that people are fully informed and can make decisions about their future savings in a similar way. Yvonne Braun, Director of Policy, Long‑Term Savings and Protection for the Association of British Insurers Comments: “The Pension Dashboard will be a critical piece of infrastructure to empower customers to engage much more easily with how prepared they are for retirement. In 2015 a discovery project with industry participants was conducted to address the problem of ‘lost pension pots’. Previous modelling shows that on average, individuals will work for 11 employers during their working life, meaning that going forward many individuals will acquire multiple pension pots1. Out of this work was born the next phase of the project or the “Alpha Phase” as it has become known. About the Money Advice Service The Money Advice Service is an independent organisation. It gives free, unbiased money guidance online at moneyadviceservice.org.uk or via free phone on 0800 138 7777. Debt advice is also provided through a variety of partners across the UK. The Service was set up by Government and is paid for by a statutory levy on the financial services industry, raised through the Financial Conduct Authority. Its statutory objectives are to enhance the understanding and knowledge of members of the public about financial matters (including the UK financial system); and to enhance the ability of members of the public to manage their own financial affairs.